Over the past few decades, alternative health care options have been added to traditional medicine. As a result, alternate medical care has seen quite a bit of interest and support from the general population. Alternative approaches to health and wellness while new to some; comes from various parts of the world and many of these approaches are hundreds or even thousands of years old. These systems, once highly influential and wide-spread, dealt with a more natural and holistic approach which included prevention. However, they lost status and became obscure as the scientific revolution and advances in the health sciences flourished, especially in western civilization. Modern medicine was designed to treat symptoms (ailments) through medication rather than root causes or prevention. People are waking up more and more to the reality that the mainstream medical model may not be the best approach to ensuring health and wellness for them. This reality is taking place because of the incredible increase in medical costs, limited time given to those seeking care, a consistent prevalence of side-effects of drugs prescribed and the controls exercised by insurance companies. More and more medical schools have begun to offer courses on alternative medicine as it has become apparent patients who can afford to do so are choosing to explore alternatives to healthcare, even if they have to pay for it out of their pockets. An increasing number of medical practitioners have begun to incorporate alternative therapies into their practices, thus creating medical pluralism for their patient’s care and well-being. Cancer has become widespread throughout the west, and Ty Bollinger's research discovered, it has emerged mainly because of our diet, processed foods, and toxins in the air, water, land, and food. In my reading of alternative healthcare literature, the human body was created to heal itself. However, with the changes in our environment, the body has become too consumed with battling the invasion of toxins and their effects on the body. The chemotherapy side effects on the body, particularly the liver, suppresses characteristic functioning. While Chemo-Therapy has been the major form of treatment for cancer, remedies through natural plants and herbs are seeing an increase in the exploration of alternative healthcare. Many feel that chemo-therapy is so radical; it does, in fact, kill cancer cells, but it also destroys many of the healthy cells too.The side effects are devastating (nausea, hair loss, headaches, weight loss etc.). These side effects are caused by the synthetics in medicines or through their synthetic processing. Due to these side effects, the doctor then has to give the patient medication to counteract these symptoms. Chiropractic – is the largest and most familiar form of alternative healthcare. Its’ noninvasive treatment provides a viable alternative, to drugs and surgery and is practiced in the United States, Australia, Canada and the United Kingdom. It entails diagnosis, treatment, and prevention of mechanical disorders of the spine and musculoskeletal system. The body gets its movement ability and provides form, support, and stability of the musculoskeletal system. Chiropractic treatment primarily requires manual therapy (called subluxation) of the spine, joints and soft tissue. Ancillary treatment involves exercises, health and lifestyle counseling, and electrotherapy. Chiropractors believe disorders affect overall health by way of the nervous system. Therefore, electrical stimulation is used to directly block the transmission of acute and chronic pain signals along nerve endings. Acupuncture – one of the forms of Traditional Chinese Medicine which have been practiced for over 3,000 years. This therapy system utilizes fine needles placed at access points of the body which penetrate the skin to redirect circulation/life flow energy called “Qi”. Disruption of this flow of energy is believed to create imbalances in the body. By the way, there is no feeling or pain associated with placement of the needles. They stay in place for 5 to 20 minutes, depending on the condition being treated. Acupuncture is recognized by the National Institute of Health as a therapeutic treatment and is also regulated by the Food and Drug Administration. Needle sizes are fine like hair, sterile, and can only be used once. As a form of alternative healthcare, it is used in the treatment of several conditions such as back pain, osteoarthritis, fibromyalgia, strokes, chemotherapy, asthma, depression, carpal tunnel syndrome, headaches, and relaxation. 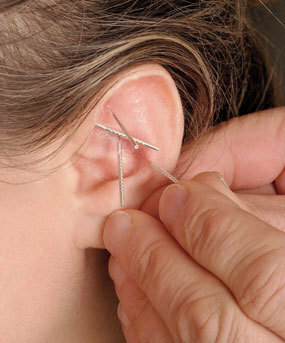 Usually, in the United States, acupuncture is used in conjunction with other conventional medical treatments. Some doctors believe that acupuncture re-regulates the body by turning off pain signals through endorphins, produced by the body. Certification and licensure for treatment should be obtained from a credible institution to minimize risks. Nutraceuticals – is a wide selection of natural health products and nutritional supplements. They are described as any product derived from food sources with extra health benefits in addition to the basic nutritional value found in foods. The viewpoint of those involved with nutraceuticals is that they are considered to be healthy sources for the prevention of ill health and life-threatening diseases. Nutraceuticals are grouped into the following categories: dietary supplements, functional food, medicinal food and farmaceuticals (medically valuable byproducts produced from modified farm crops or animals.) Nutraceuticals have become important to many because, as a form of alternative healthcare, they support the functions of the body; and assist you in taking care of your health. Because people are living longer, all are seeking treatments which will add to their well-being and quality of life.